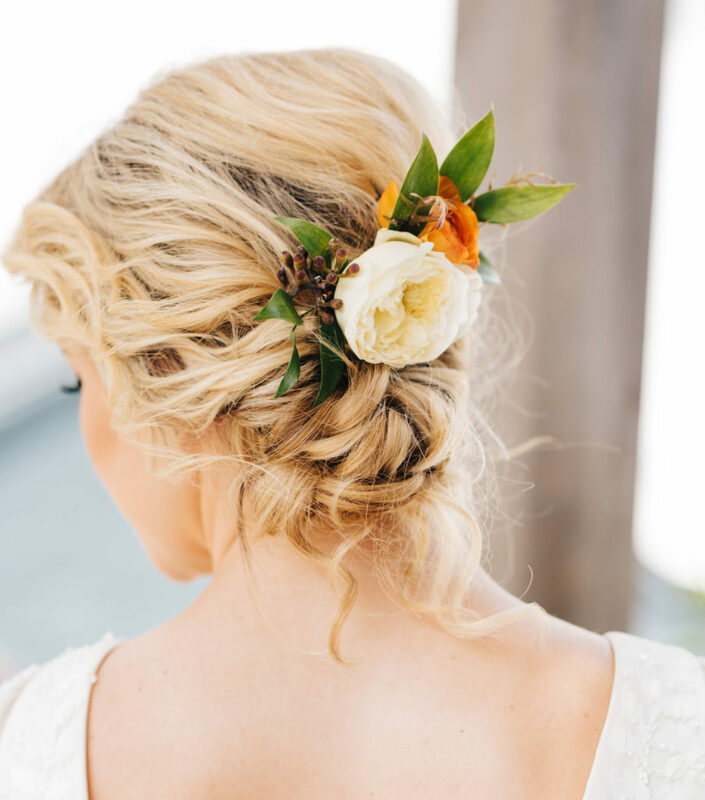 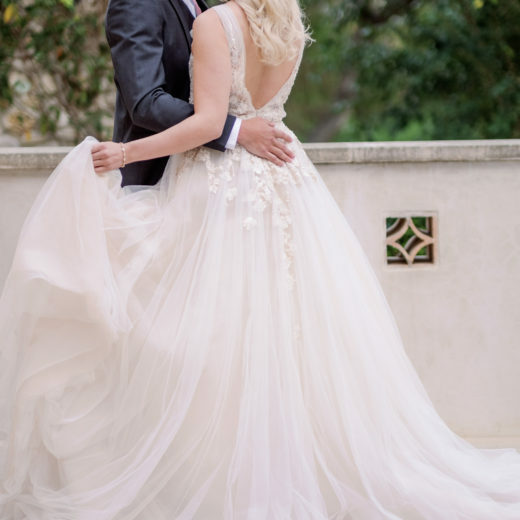 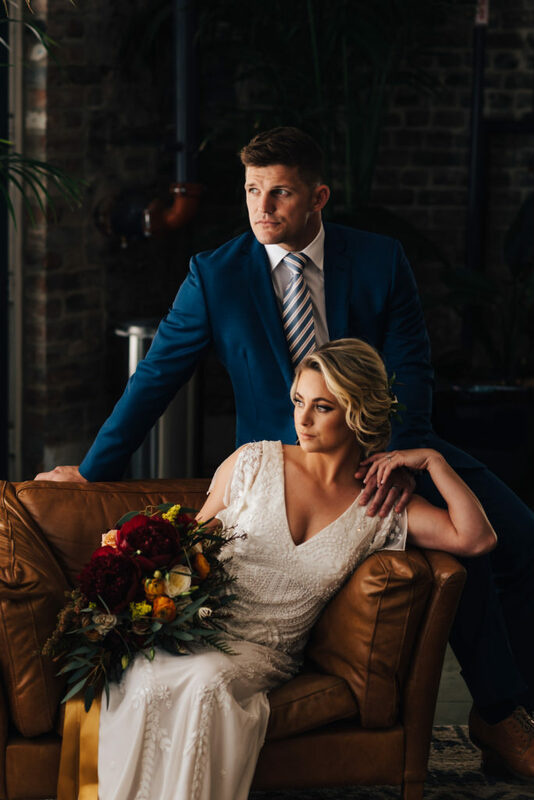 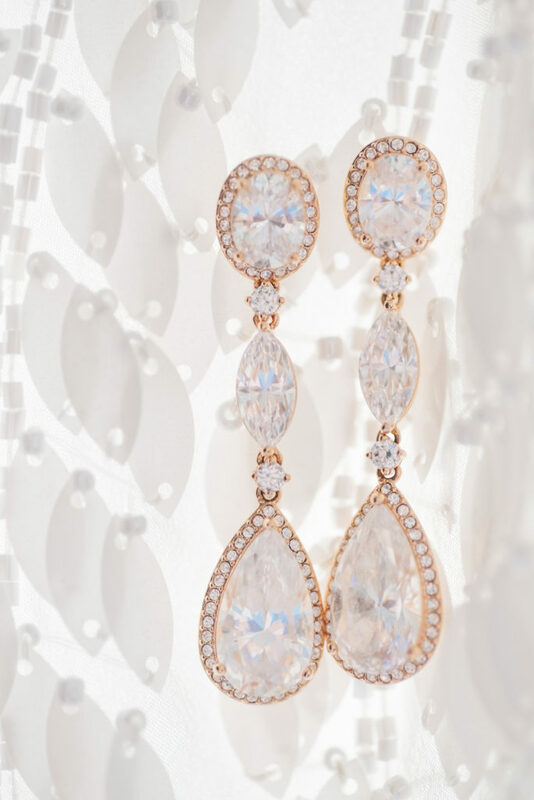 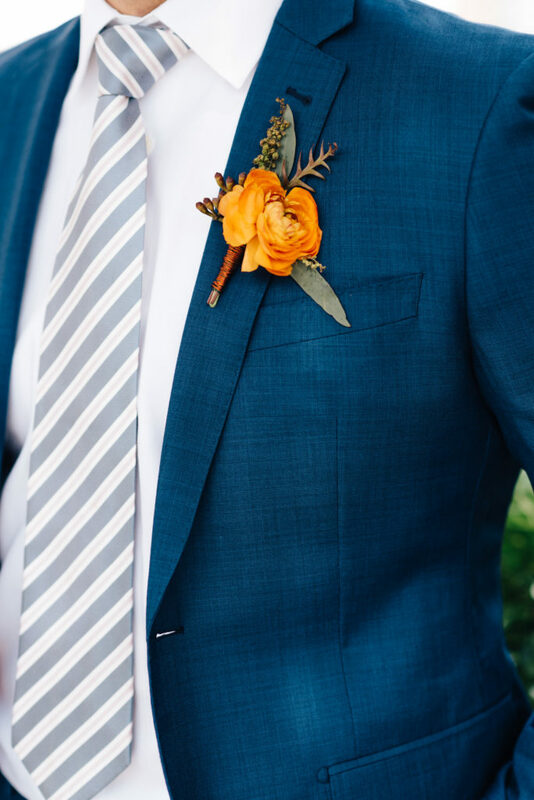 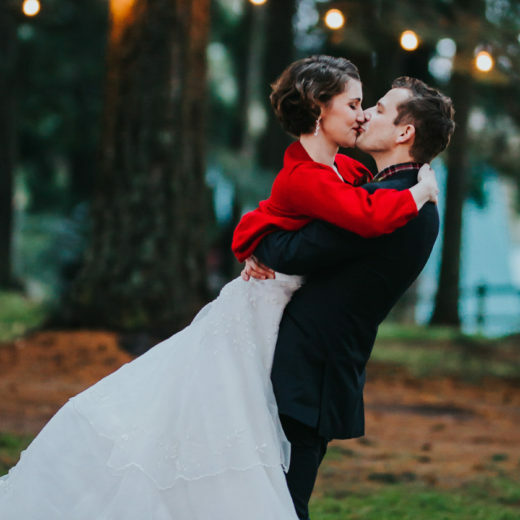 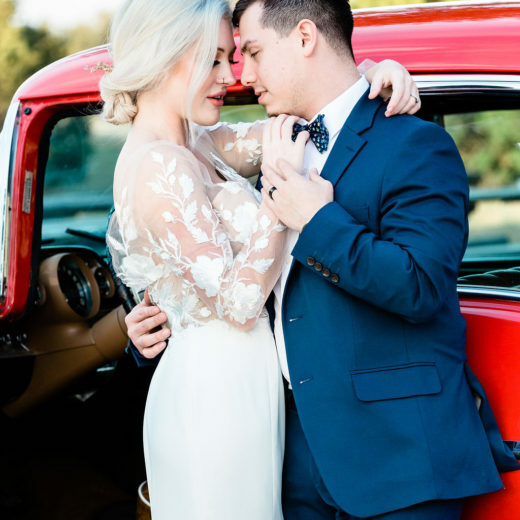 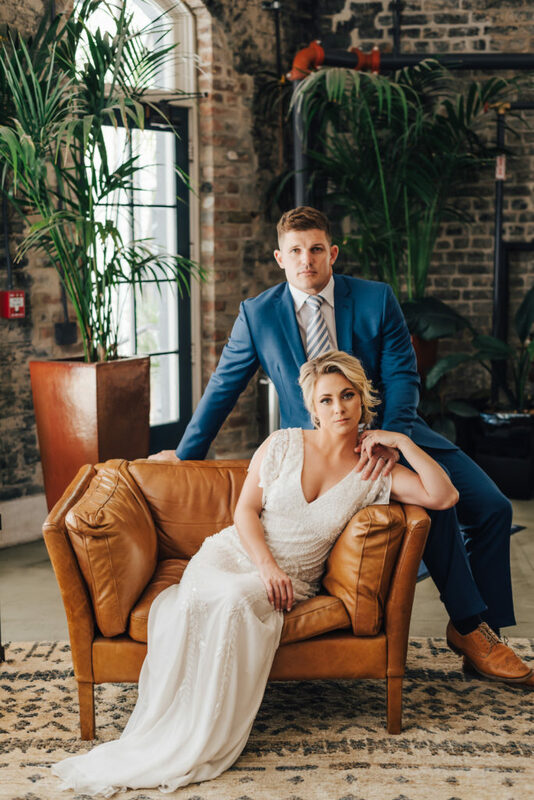 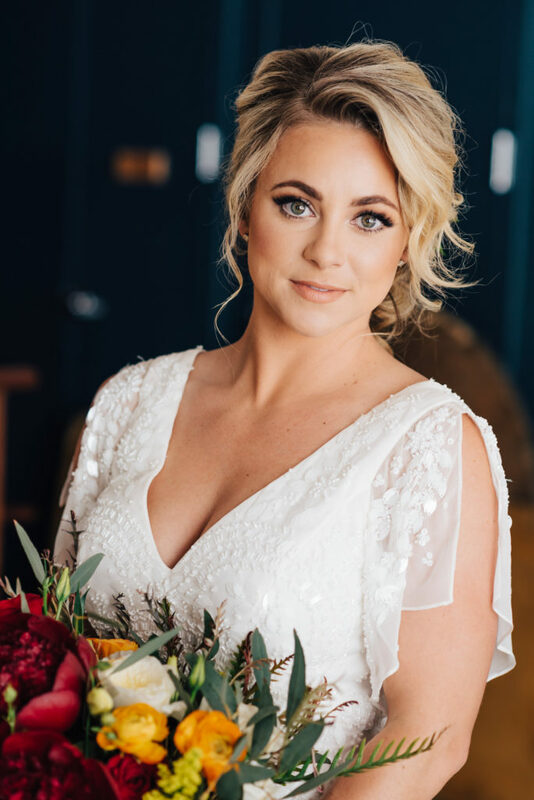 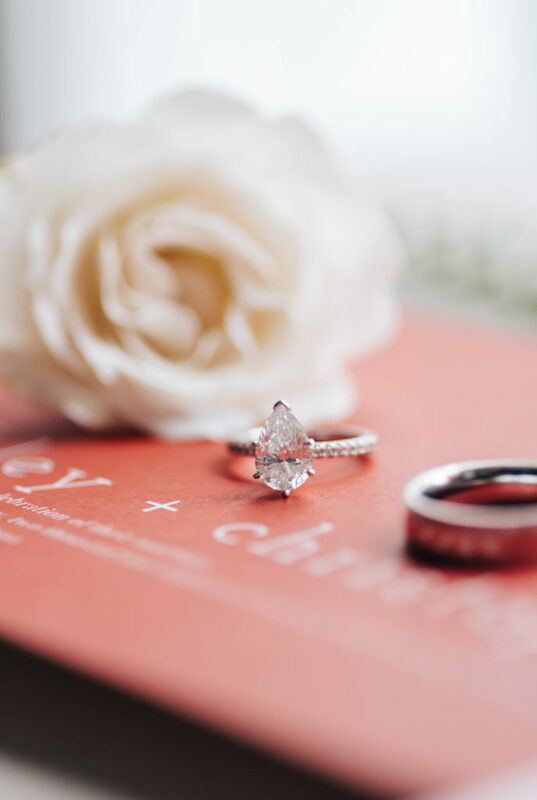 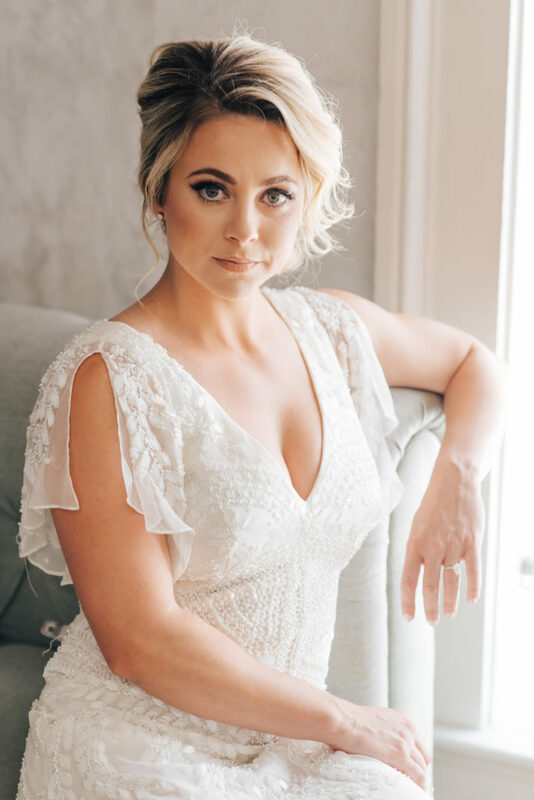 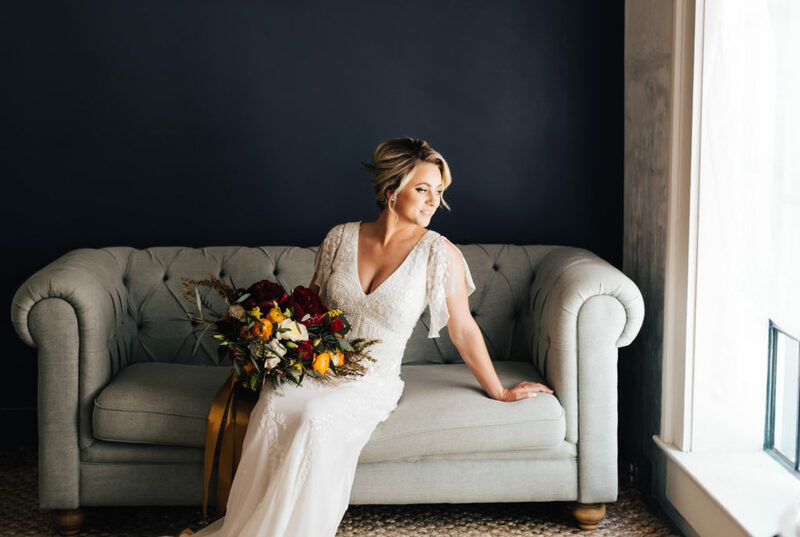 This is one of our favorite styled shoots we’ve seen this year, so much so, that we included it in our print magazine, Premier Wedding Magazine. 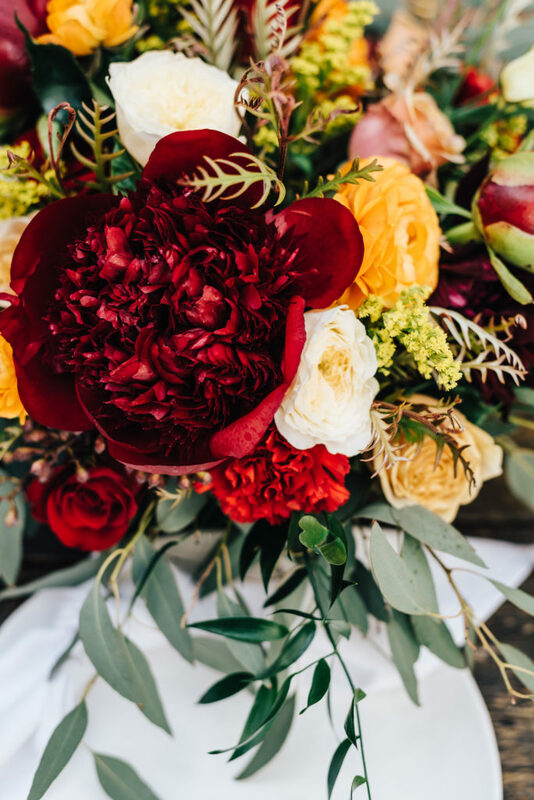 It’s moody. 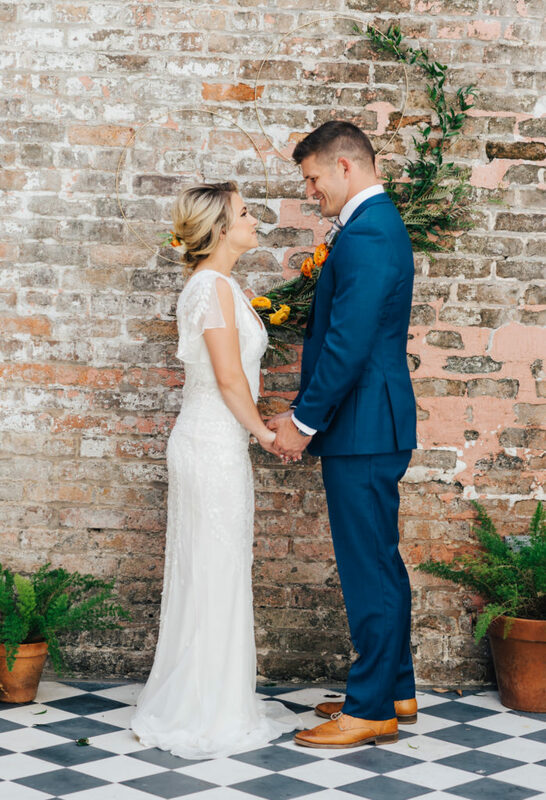 It’s romantic, and it’s New Orleans – all the things we love so much! 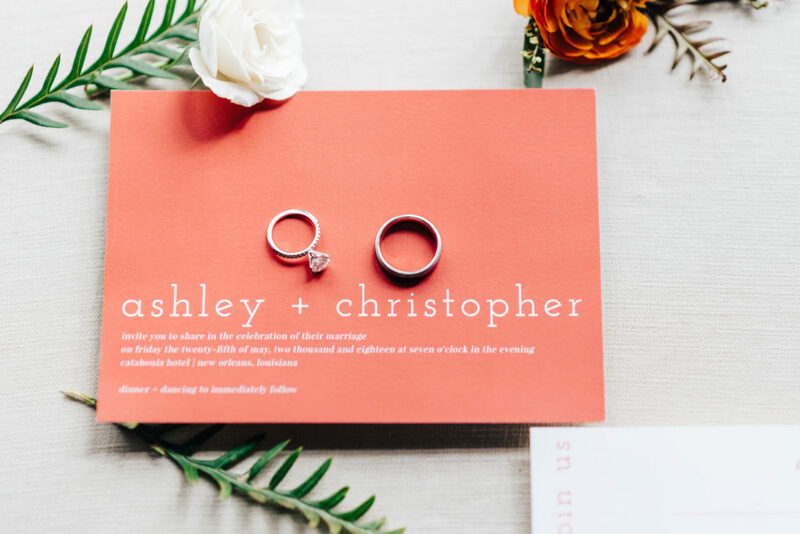 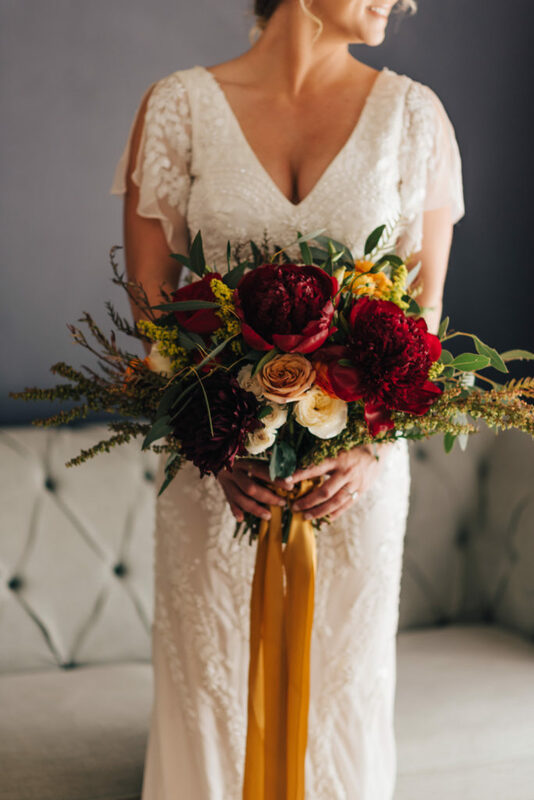 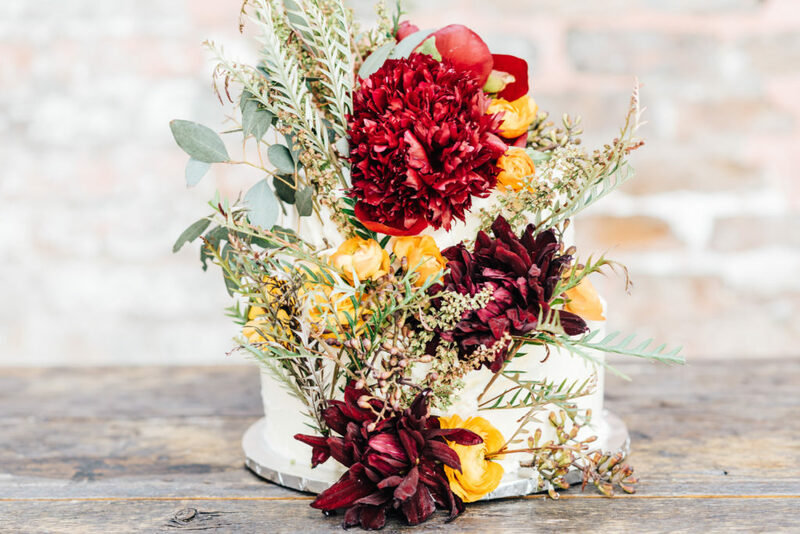 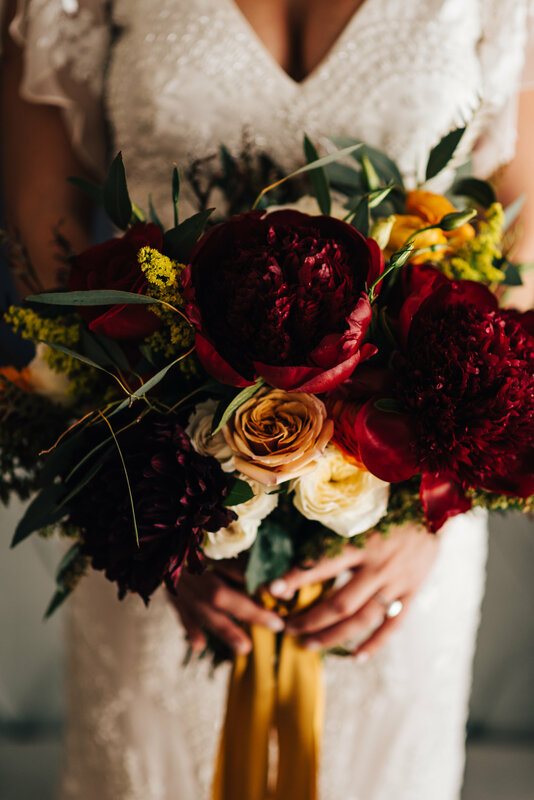 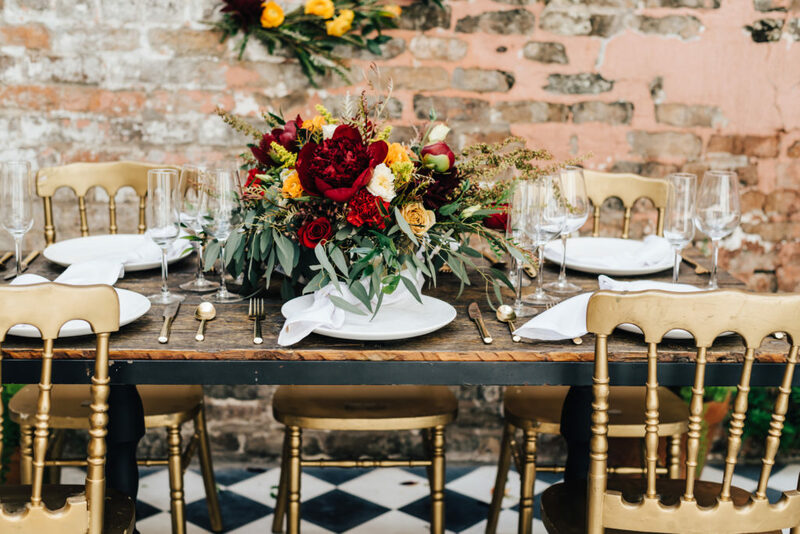 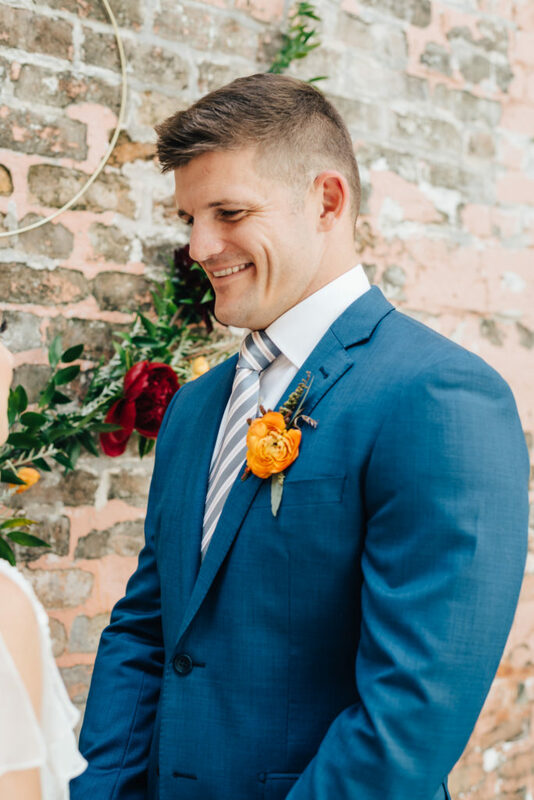 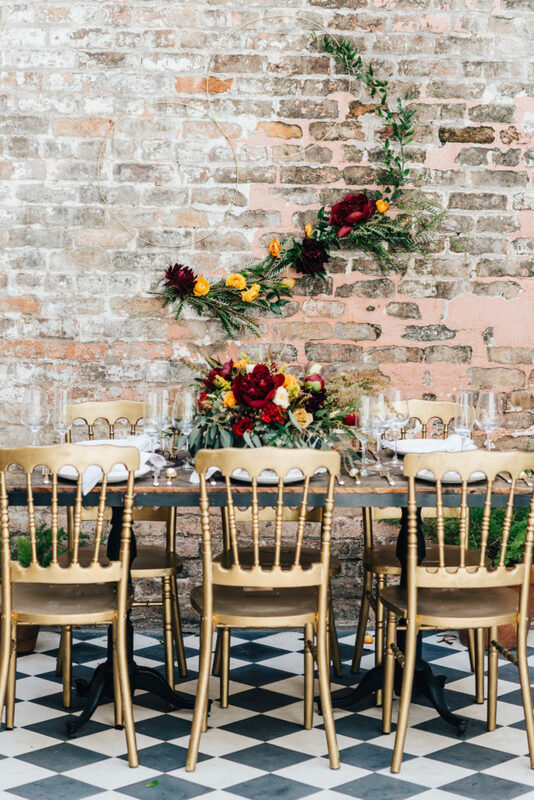 We adored the lush, deep jewel tone floral palette in deep crimson, cream and gold set against the brick wall of the Catahoula Hotel, a gorgeous boutique hotel just steps away from the world famous French Quarter. 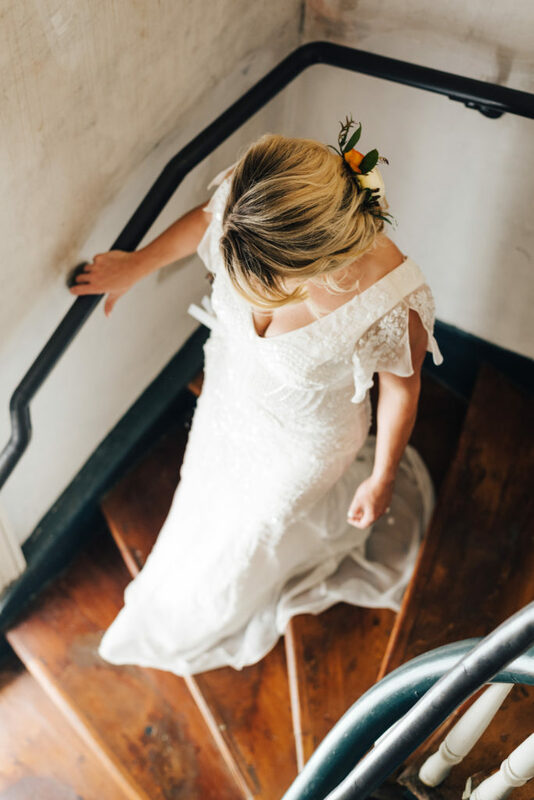 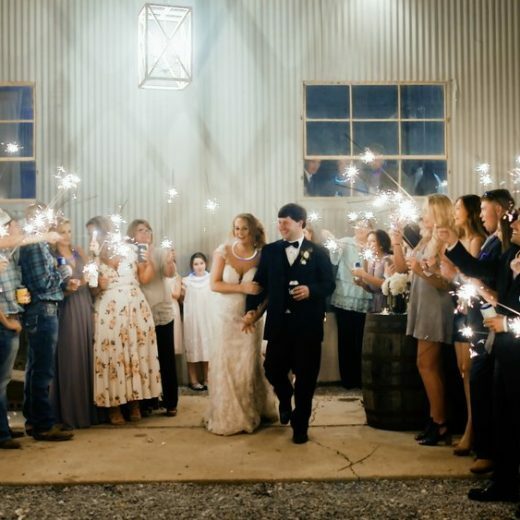 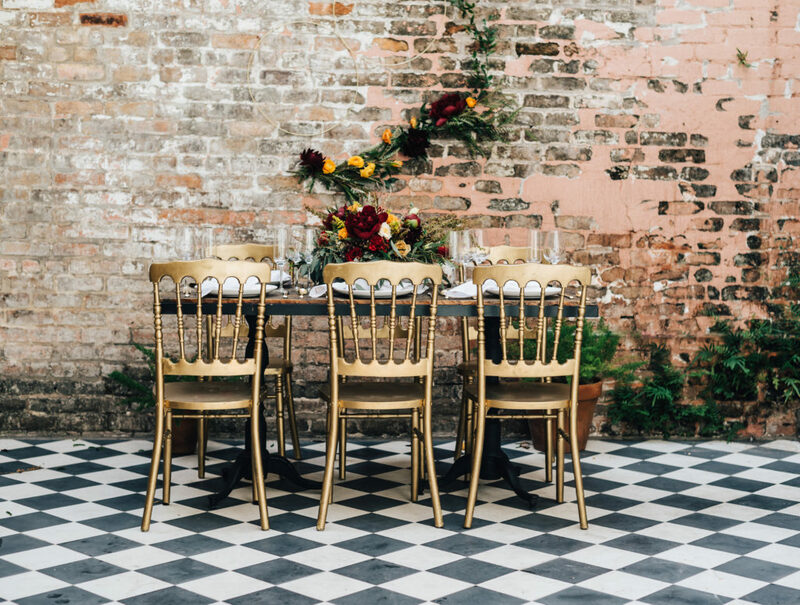 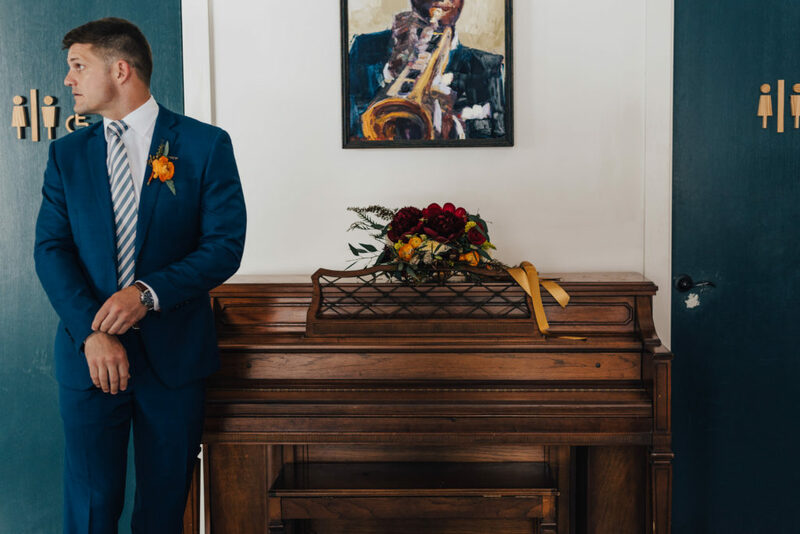 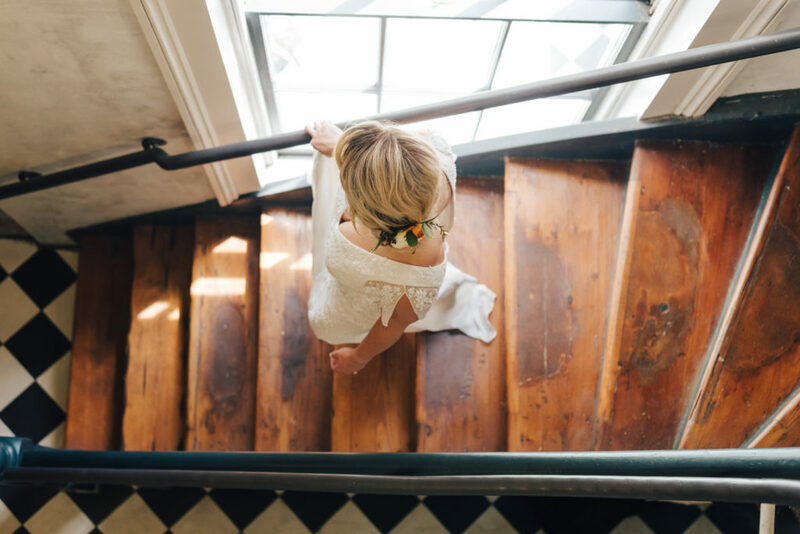 This stunning venue has old world charm with modern styling for a stylish, eclectic look that is quintessential New Orleans. 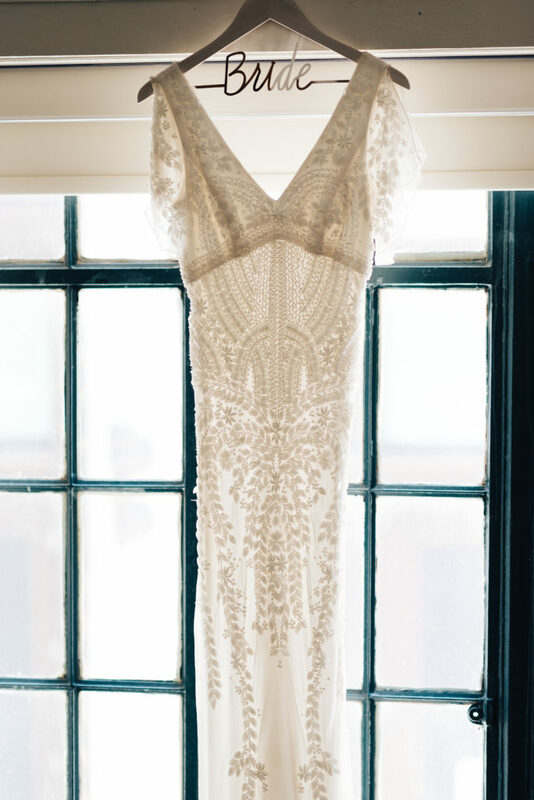 The bride’s vintage crochet-style lace gown is lovely and elegant. 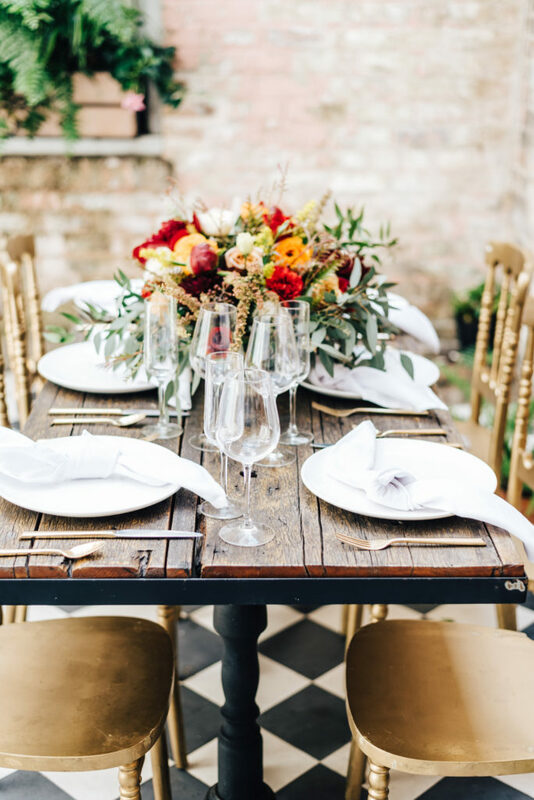 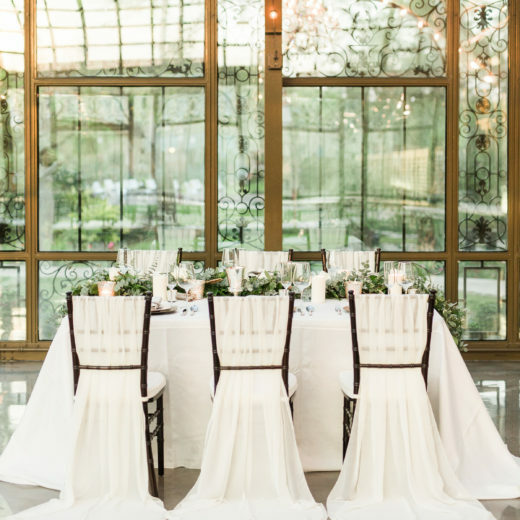 The design team paired the distressed wood table with gilded chairs and simple white place settings to allow the florals to take center stage. 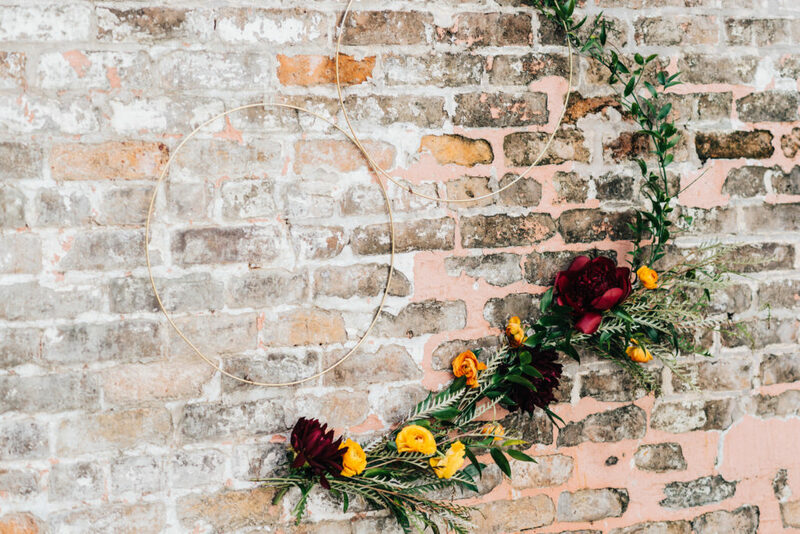 From the gorgeous centerpiece to the floral arc on the brick wall, the floral design is unique and special.